Over the last couple of years (maybe more) Jenn and I have developed a deep love for wine. Although our tastes continue to evolve on our favorite varieties and styles, our love for wine has continued to grow. 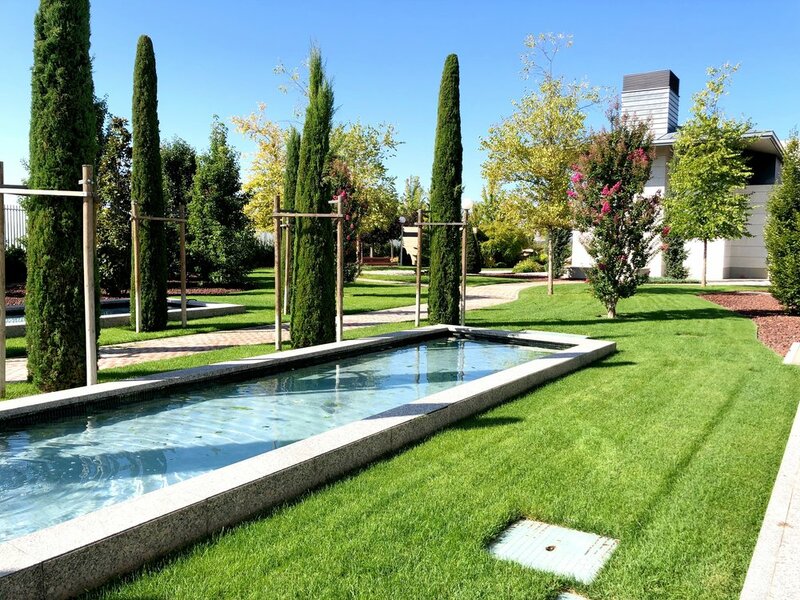 When looking at things to do in Madrid one of the most recommended was go on a wine tasting tour. 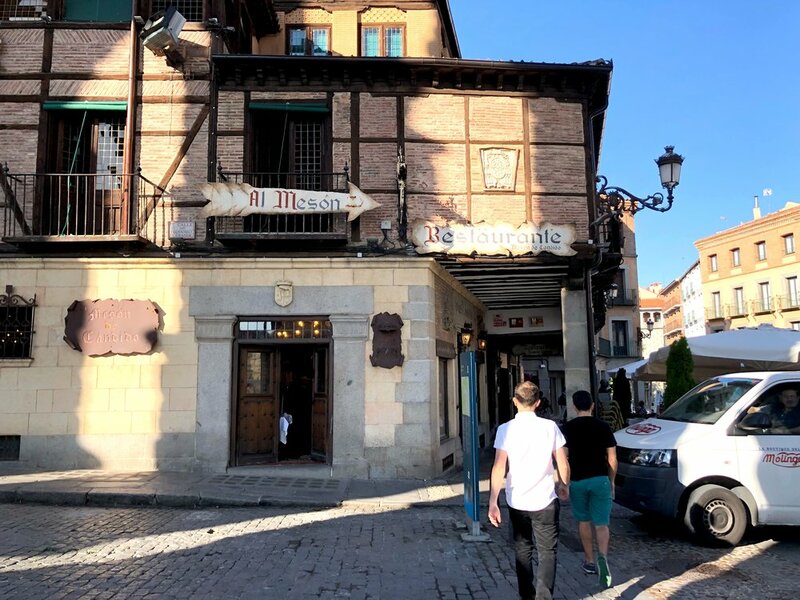 We booked one for today that was a full-day adventure (12-14 hours) that would take us to one of the most popular wine regions in the country, Ribera del Duero. We met up with Pablo and found out we were the only ones on the tour so our group tour became private. Pablo drove us through some pretty nasty Madrid traffic through the city and out to the outskirts of town. 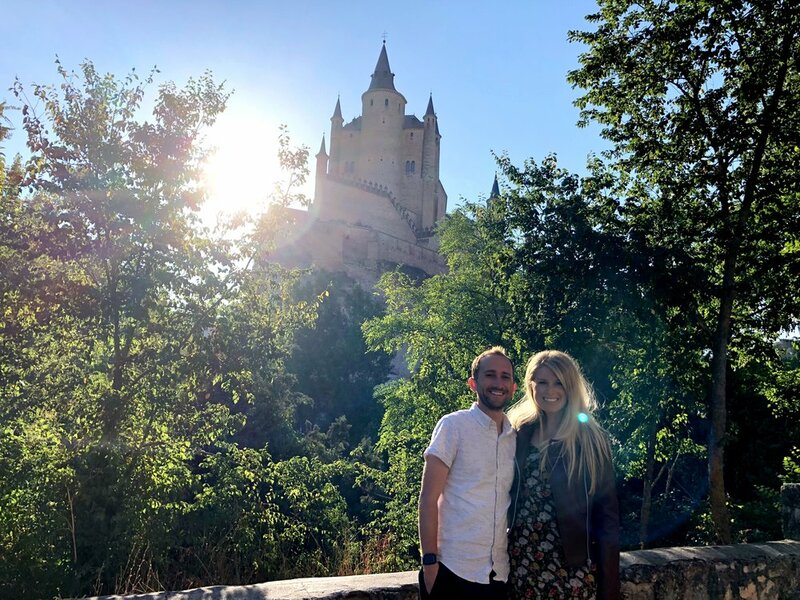 About an hour into the drive we made a quick pit stop in Segovia one of the most beautiful little towns either of us has ever seen. There we checked out a beautiful castle/fortress on the side of the mountain and a Roman aqueduct that was built in 500 BC. It was so expertly crafted that it still looks brand new. After snapping some shots we stopped for a quick coffee and were back on the road to our first of three wineries. 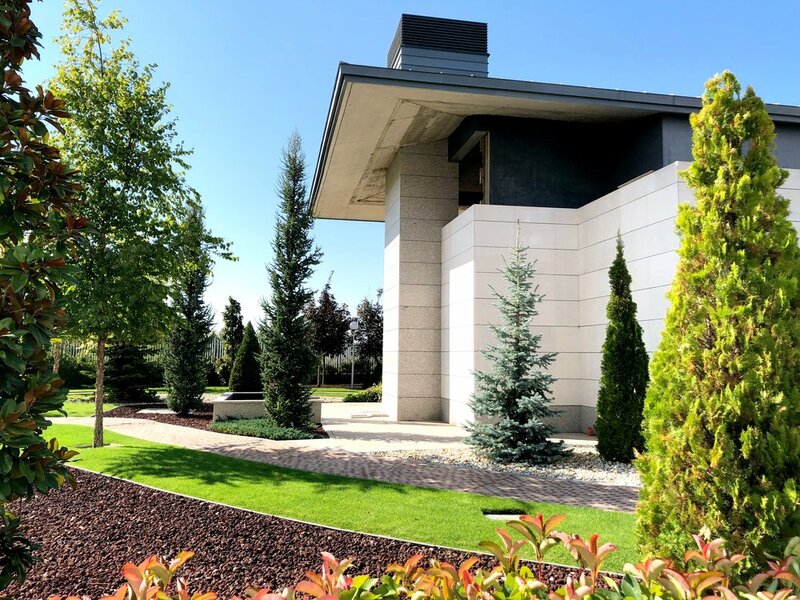 We arrived at a winery called Nexus where we went on a tour of their entire wine making facilities including the vats for fermentation, the bottle labeling machine, some of the backend climate control software, and the giant room for aging the wine in barrels. 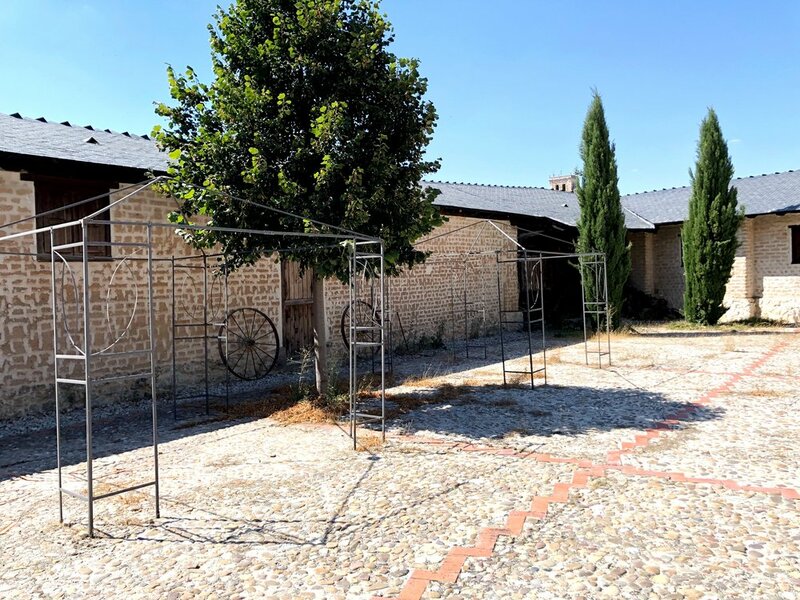 After a pretty lengthy tour we came to their tasting room where we got to try the three wines they produce (two in the region we were in and one in Toro) and they all were fantastic. Our favorite (unsurprisingly) was the reserve wine that we ended up purchasing a bottle of. Even though our guide through the winery spoke very little English our tour guide was our translator and we had an amazing time learning about their wines, the beautiful grounds of the winery, and the history of the area. After almost two hours of sipping on wine, eating bread and crackers, and walking the grounds we left Nexus and continued on. We were a little ahead of schedule so we stopped in Peñafiel at yet another beautifully maintained castle on a hill top. I know I’m not the biggest history buff but I was amazed in the four hours of driving we did today we must have seen at least a dozen castles in the middle of small towns. As a lover of castles I was loving every second of this. 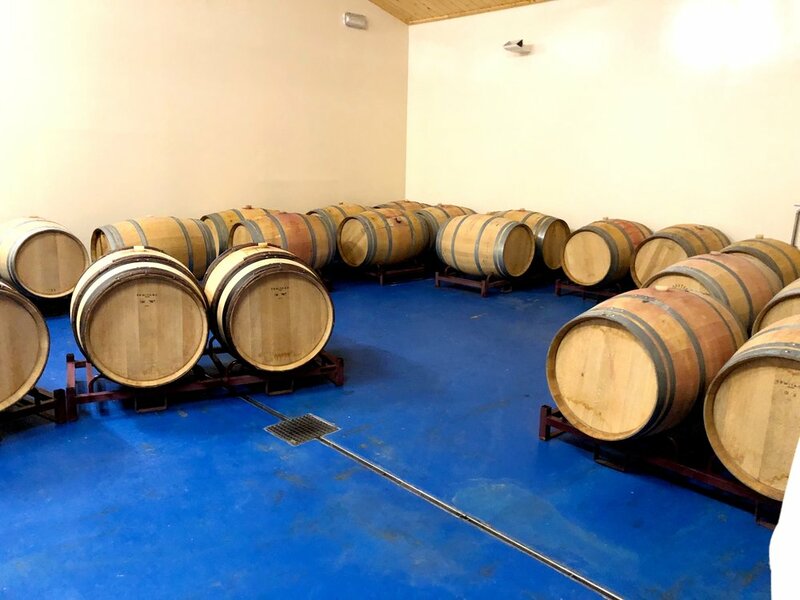 We left Peñafiel and went to our second winery of the day, Arbras where we also were scheduled to have lunch. This is what you would call a old school boutique winery and I mean that in all the best ways. We were greeted by two generations of family members who walked us around their winery, cooked us lunch, and showed us the surrounding area. We first took a quick tour of what was a very small but beautiful wine making/storing facility. 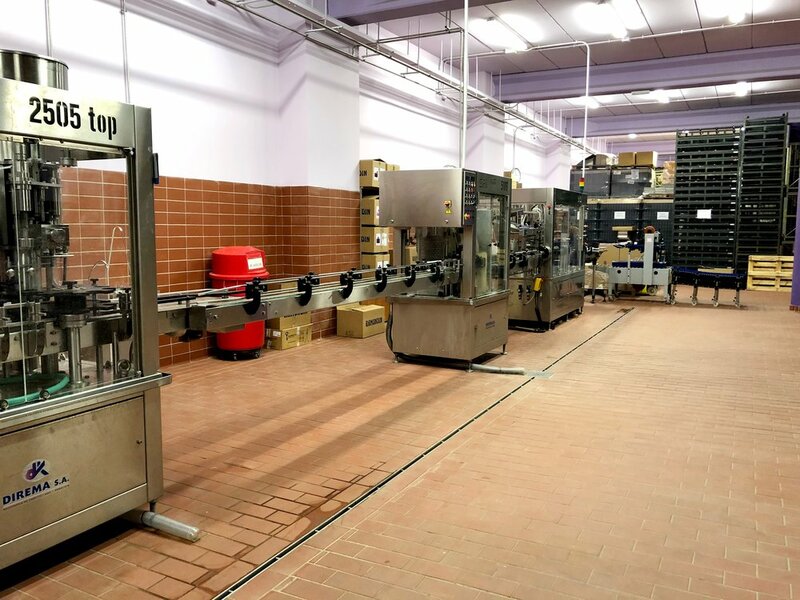 They are trying to do be a very natural/organic wine and not use pesticides in their crops and keep machines out of the wine making process as much as possible. Once we ended the short tour we went in a small room where the family cooked us and another couple a giant lunch. Although we were the only ones on our tour we did meet up with another couple on a 2-day Spanish wine tour with the same tour company. They were from Portland and the husband was a spitting image of Bryan Cranston’s famous character Walter White from Breaking Bad. It was great to break bread with them, try two different wines from the families vineyard and enjoy a perfect day in Spain. We started off with a delicious egg/potato/onion dish which was like an omelette and a frittata. It was divine, I’ve never seen Jenn so happy with food in my life. With the egg dish we also had some different cheeses, grapes, and salami’s. Our main course was a three week old lamb (two of them actually) we each had at least one maybe two of their legs and I hate to say it but they were some of the most delicious lamb I’ve ever had. We finished off the meal with some more fruit, cookies, and four shots of different alcohol’s to “help our digestive system.” Jenn and I polished them off but our “slightly” older compatriots on the tour were a little slower to finish (and it wasn’t probably the worst move). We toured around the winery a bit more, seeing some of the other history of the family run winery before buying yet another bottle of wine and hugging and kissing the entire family goodbye. It was such a lovely experience. Completely unexpected and unlike what we thought the lunch/tour was going to be like. On our way out of the winery we stopped at their actual vineyards where our guide showed us some of the different growing methods and grapes that were mere weeks away from being harvested. 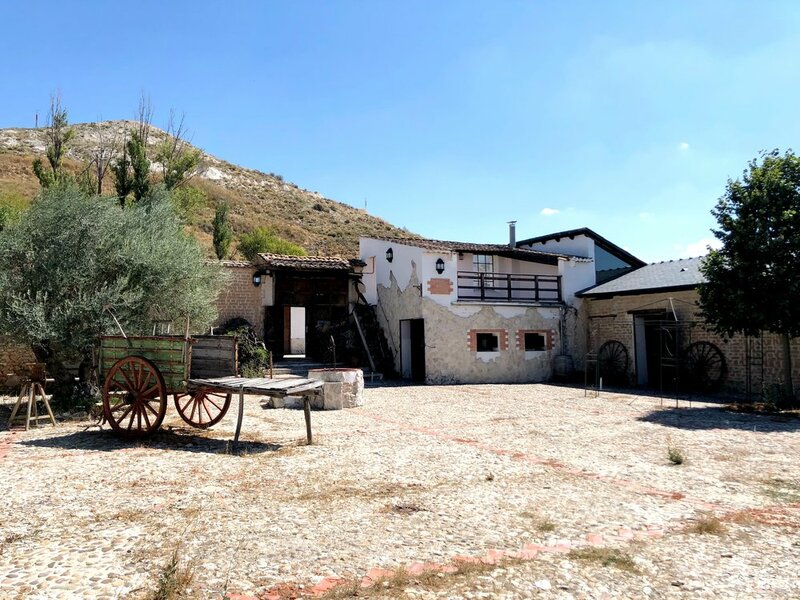 We left this small family run winery to our last stop of the day, another family run winery that has its roots more then 500 years back called Val Sotillo. The real unique feature of this final winery of the day was that it had a massive cave system that dates back to the 1500’s if not older. 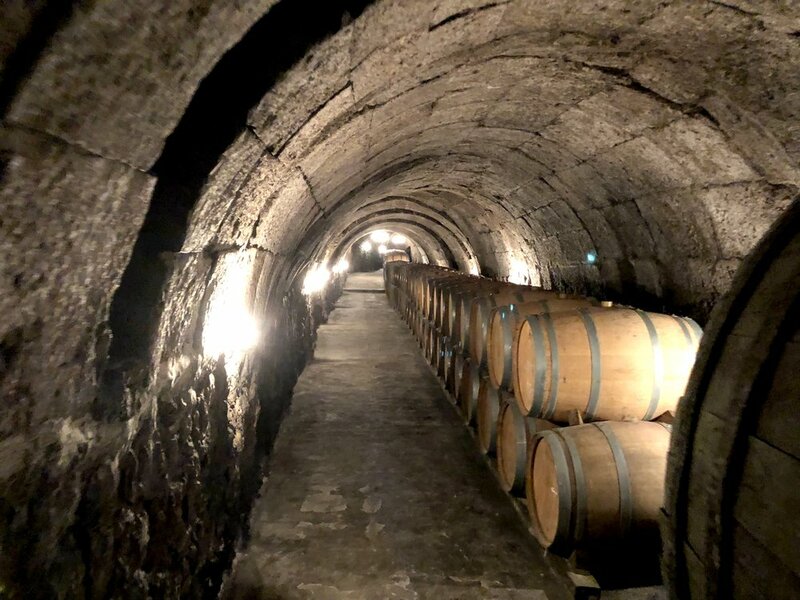 It’s a working cave like tunnel system that is used as their cellar where they age wine in oak barrels for 1-4 years depending on which type of wine they deem it at harvest. The caves were freezing but the engineering marvel of them was amazing. After the tour we tried two of their wines and although we were both tipsy at this point we loved them both and of course bought one more bottle for safe keeping. From there we made our way back to Madrid in a two-hour drive back. We arrived back in Madrid a little before 8 PM and Jenn fell asleep maybe fifteen minutes after we got back and I wasn’t too far behind her. We went to bed full of great food, amazing wine, and yet another great day in Spain. Next stop, Lisbon.